Experience Hutch | A snapshot of living in Hutchinson, Kansas. 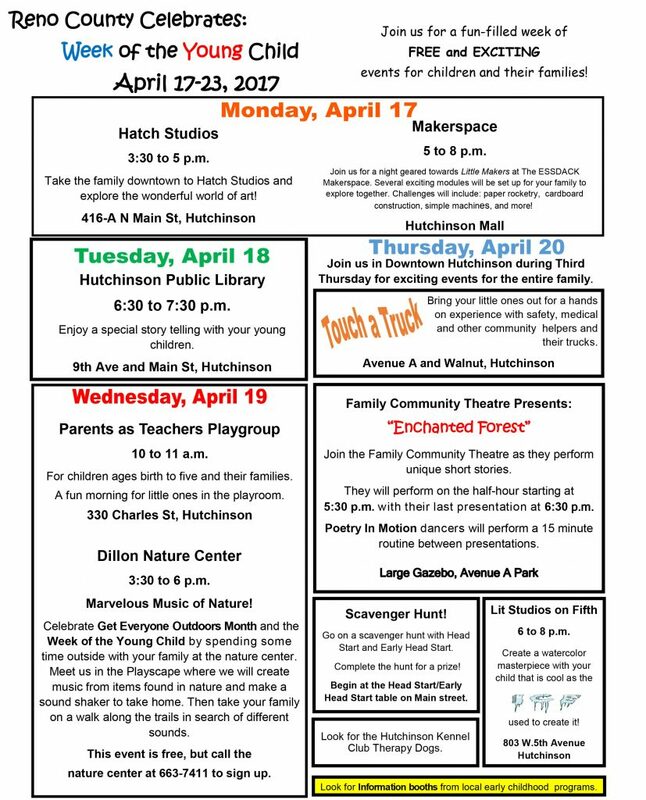 Week of the Young Child events for 2017 include Touch a Truck. The 55th annual Hutchinson Art Fair is Saturday, May 13, 2017 from 9 a.m. to 4 p.m. It will be in the Sunflower South Building at the Kansas State Fairgrounds in Hutchinson. Original artwork from more than 45 artists from throughout the Mid-West will be included. 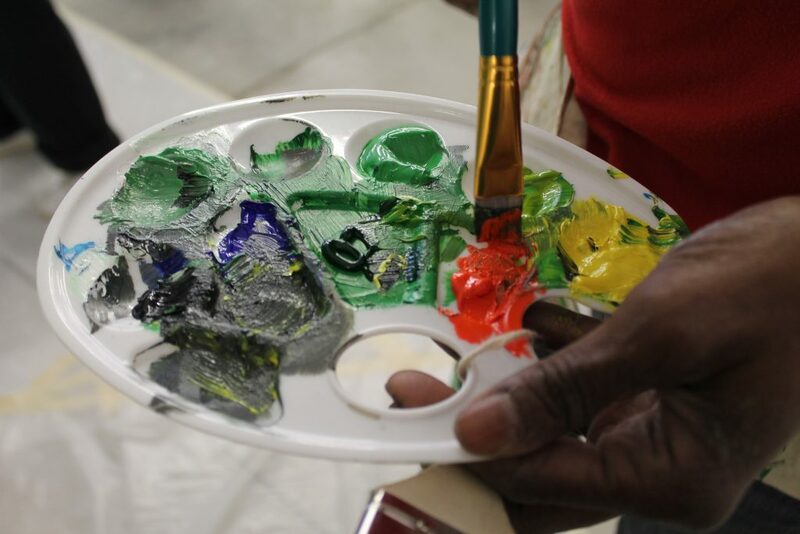 Art projects for children will be offered throughout the day. Future artists will be able to create works of art for Mom, the refrigerator door, or simply for the joy of doing. 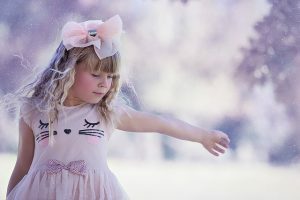 There is no charge for the children’s activities. In 2016 artists exhibiting at the Fair were presented nearly $2,400.00 in purchase awards and $2,300.00 in cash awards. The cash awards consisted of 1 st, $500, 2nd $400, 3rd $300.plus eleven $100, Awards of Excellence and four Memorial awards totaling $1,000. An additional estimated $15,000.00 in purchases was made by the thousands of patrons in attendance at the Art Fair. 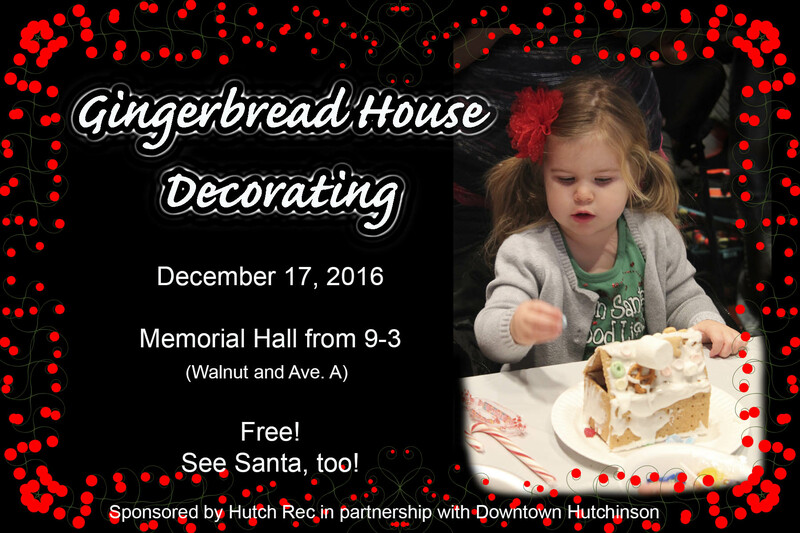 For more information call the Hutchinson Art Center at 620/663-1081 or e-mail hrah@hrah.kscoxmail.com. Music at the Art Fair is sponsored by the Hutchinson/Reno Arts and Humanities Council. 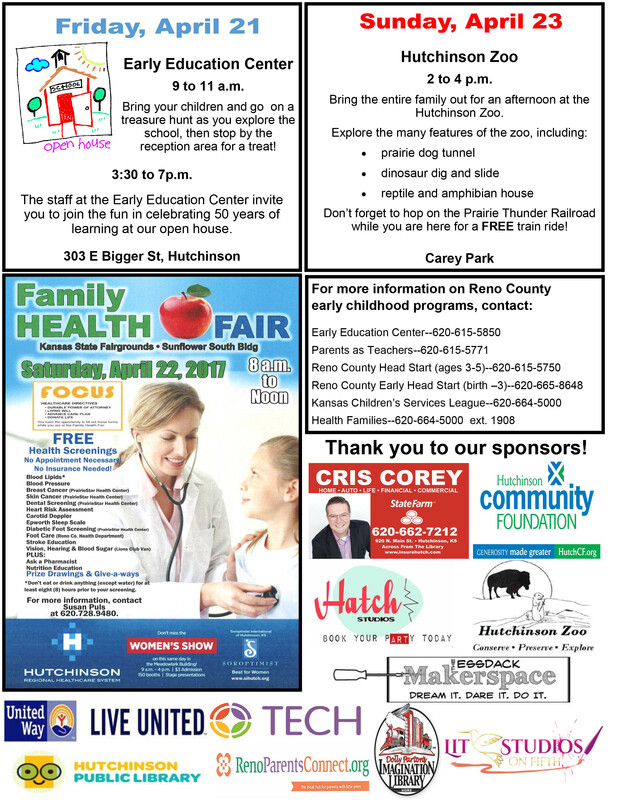 The Art Fair is free and sponsored by the Hutchinson Art Association in conjunction with The Hutchinson News, Downtown Hutchinson and The Dillon Stores. Talk20 Hutch is January 27, at 7 p.m. in the Hutchinson Public Library. The library is at 901 N. Main. This is the seventh installment of Talk20 Hutch. Doors open at 6:30 p.m.
Talk20 Hutch brings people together to learn, listen, and engage over a variety of topics. The event is free and open to the public. The after party is at Carl’s Bar, 103 N. Main, in downtown Hutchinson. People are encouraged to continue the conversation at Carl’s after the structured event at the library. Those under 21 are welcome. Ten community members show 20 photographs, and speak for only 20 seconds per slide (a total of a little over 6 minutes per presentation). The slides are on a timer, so the format is set. The total time of the event is around 90 minutes, including a 10 minute intermission halfway through. “We want to create community through story-telling,” says Patsy Terrell, one of the organizers. “This is a unique way to engage with our neighbors,” says Kari Mailloux, the other organizer. Lynn Ledeboer Hair Today, Gone Tomorrow! For additional information, check talk20hutch.com, or facebook.com/talk20hutch. Talking Tombstones is October 15 at Eastside Cemetery near Severance and A. Actors portray dearly departed residents of Hutchinson and Reno County, whose spirits reside at Eastside Cemetery. Performances are at 5:30 p.m. and 8:00 p.m.
As a special celebration of Stage 9’s 100th Anniversary and the 10th Anniversary of Talking Tombstones, ten characters have been selected for revival. Only five characters are presented in each tour with a discounted ticket price offered to patrons who want to see both performances. Characters in the fundraiser are researched by the Reno County Genealogical Society throughout the year. 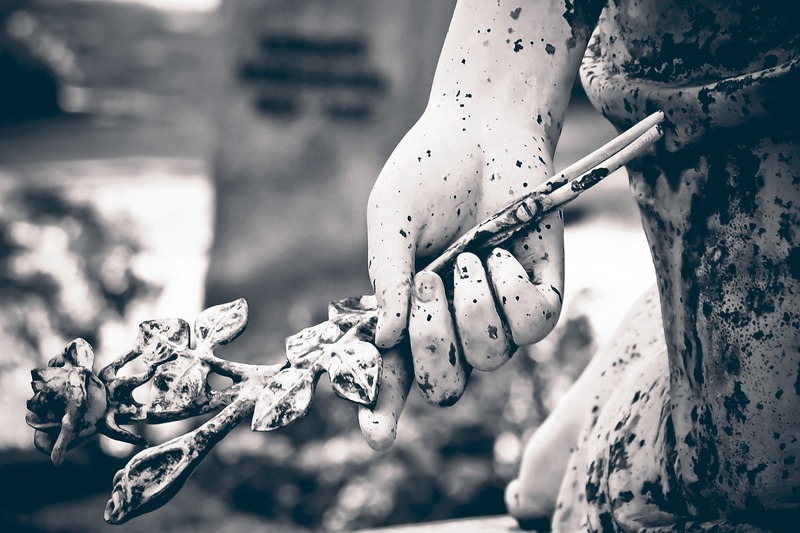 In addition to the performances, go to the mausoleum at the conclusion of each program where Lynn Ledeboer, Curator of the Reno County Museum, will provide a fascinating look at funerary related artifacts from local funeral homes. Tickets are $20 for general admission to the event. Two tour ticket packages are available for $30. The program at 7:15 pm is included in the price of admission. Tickets may be purchased in advance online at stage9hutch.com as well as at Apron Strings, located at the intersection of Sherman and Main Street. Patrons may also purchase tickets at the mausoleum thirty minutes prior to a performance. For additional information about the performance, please contact Stage 9 by email at info@stage9hutch.com or by phone at 316-350-PLAY (7529). 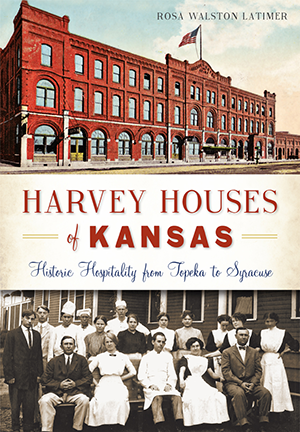 Rosa Walston Latimer, author of “Harvey Houses of Kansas: Historic Hospitality from Topeka to Syracuse,” is at the Reno County Museum on September 9th from 5:00-7:00 p.m. The Reno County Museum is at the corner of Avenue A and Walnut. She will be autographing her book, which will be available for purchase. The book was chosen as a 2016 Notable Kansas Book by the Kansas State Librarian. Light refreshments will be served. Rosa lives in Post, TX where she owns an independent bookstore, Ruby Lane Books & Gallery on Main Street. She is an author, playwright and an award-winning photographer. Rosa writes for national and regional magazines and newspapers; was news editor of a print and an online newspaper and supervising director of a nationally syndicated television program. Truckstop Honeymoon is performing at Stage 9 on September 3. Tickets on sale at www.stage9hutch.com and Apron Strings Kitchen Store. Tickets just $20 through August 27th, then go to $25 this show will likely sell out get your tickets early! Ticket price includes your complimentary favorite refreshments during the reception and show. 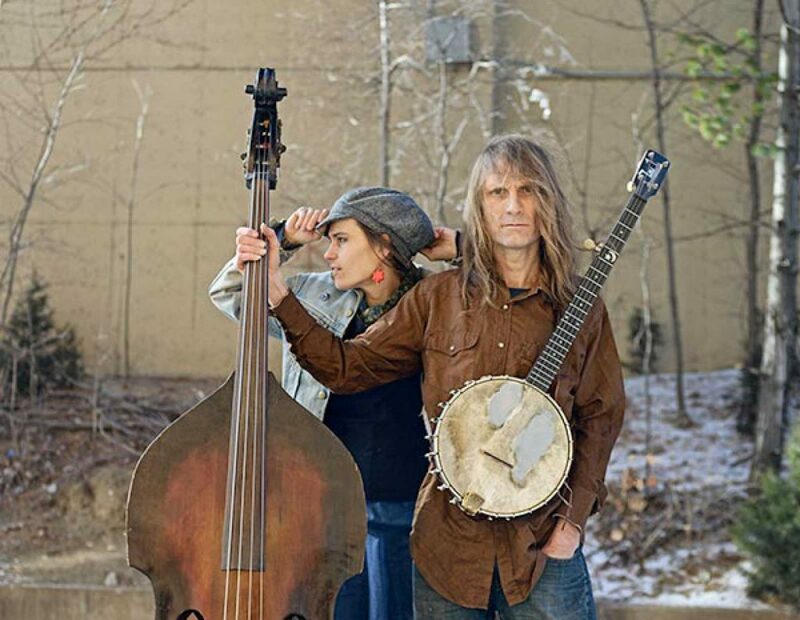 Don’t miss this rare chance to see and hear Katie and Mike in Hutchinson! 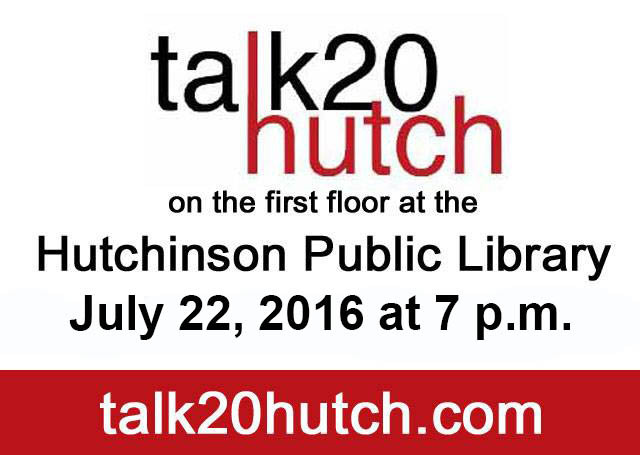 Talk20 Hutch is July 22, at 7 p.m. in the Hutchinson Public Library. The library is at 901 N. Main. This is the sixth installment of Talk20 Hutch. Doors open at 6:30 p.m. 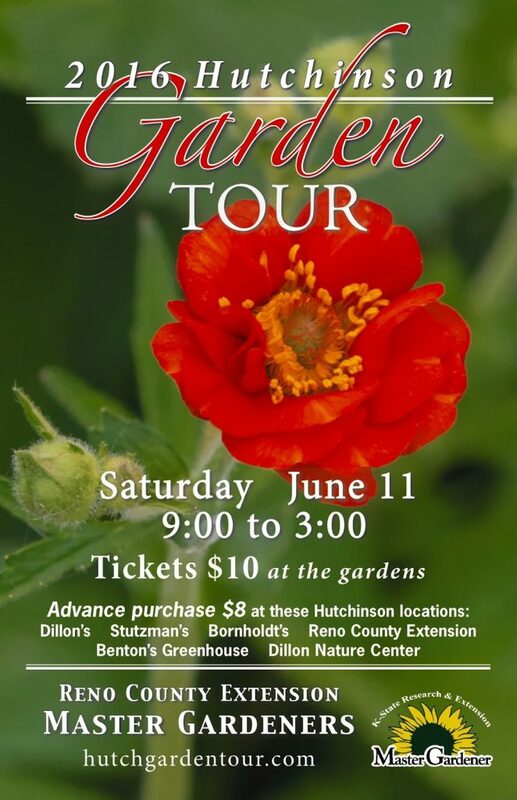 The Reno County Extension Master Gardener’s eighth annual Hutchinson Garden Tour is Saturday, June 11 from 9:00 a.m. to 3:00 p.m. Highlights of this year’s tour include a dry creek bed with an arching bridge, a gnome garden, a new butterfly garden, bubbling fountains, and a recently built pergola and sunny deck with color-splashed container gardens. For those who like the unusual, you’ll be fascinated by the endless collection of succulents, tropical fruit trees, orchids, plumaria and exotic horticulture oddities. All of the educational talks will be presented at the Master Gardener Demonstration Garden on the HCC campus, with parking available in the 14th street parking lot. Your ticket will include a map of the garden locations and the schedule of the educational talks at the Master Gardener Demonstration Garden. Reno County Extension Master Gardeners will be your tour guides at each of the six gardens, and available to answer gardening questions. See www.hutchgardentour.com for preview photos of the Garden Tour. Advance tickets are $8.00 at the Reno County Extension Office at 2 W. 10th, South Hutchinson; Dillon Nature Center, 3002 E. 30th; Stutzman’s Greenhouse in Pleasantview and on Apple Lane, Bornholdt’s Plantland at 1508 West 4th, Benton’s Greenhouse at 209 South Valley Pride Road, and at all Dillons stores in Hutchinson. Or buy online at www.reno.ksu.edu or call Reno Country Extension (620-662-2371) to order tickets. Tickets will also be available at each of the gardens the day of the tour for $10.00. Children 12 and younger are free. Garden Tour proceeds support Master Gardener community education programs and the Master Gardener Demonstration Garden at Hutchinson Community College and the garden at Reno County Extension. Funds also support youth programs, including the Youth Lawnmower Safety Clinic, Junior Master Gardeners, and 4-H. The 13th annual Daddy-Daughter Dance is Saturday, May 7. It’s from 7-8:30 p.m. at Prairie Hills Middle School, 3200 Lucille Drive. Altrusa International of Hutchinson is creating a special evening with music, dancing, refreshments and door prizes. Make memories that will last a lifetime. Money raised supports the Children’s Emergency Shelter Home, Inc.